The extended holiday weekend is almost here and if you’re like most of us, you’ll have at least one day off work each of the next two weeks (or perhaps longer if you’re a student). How in the world will you pass the time? Google has a couple of ideas. 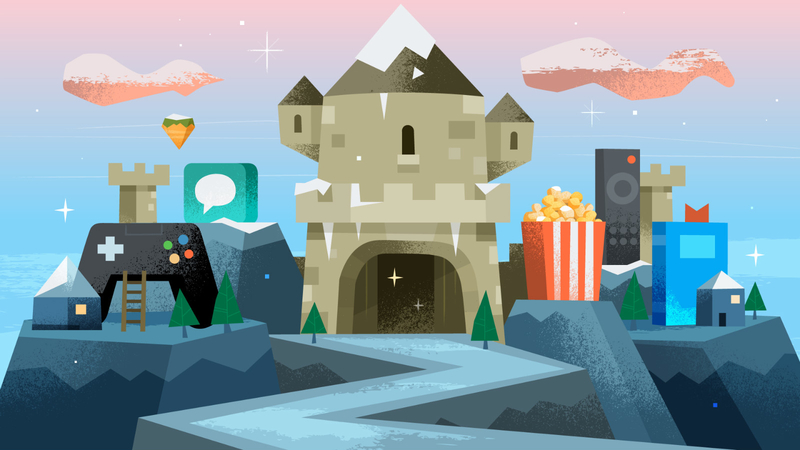 The search giant recently kicked off its 12 Days of Play promotion over on the Google Play Store featuring substantial discounts on all sorts of content for your Android devices. Current deals include movie rentals for $0.99, a four-month complementary subscription to Google Play Music, 50 percent off an HBO NOW subscription for the first three months and 40 percent off the cost of TuneIn for one year. Those after a new game or two have plenty of options to choose from with savings of up to 80 percent. Highlights include Need for Speed Most Wanted, The Room Three, Minecraft: Story Mode Season Two, Framed 2, Sonic Jump Pro and The Game of Life for $0.99 each. In-app purchases can also be had at a discount for titles like Pokemon Go, Clash of Clans, Golf Clash and Candy Crush Saga. TV shows are also being marked down by as much as 50 percent while some e-books have been slashed to under $5 each. If you’re expecting a new Android device for the holidays (or maybe you’re just bored with your current selection of apps, games and media), now is the perfect time to load up with content – assuming of course that you haven’t already sent all of your disposable income Valve’s way as part of their Winter Steam Sale.